Posted on 09. Feb, 2009 by Corey in NCAA Basketball. The Counting Crows said it best in their hit song, Omaha. The lyrics say, “Omaha, Somewhere in middle America.” When thinking about Manhattan, Kansas, somewhere in middle America pops into my head. A city of over 51,000 people, Manhattan sits in the Northeast corner of the state of Kansas. Little do folks realize that it is good enough for eighth largest in entire state. But still, where is Manhattan, Kansas? When former basketball coach at Kansas State University Bob Huggins was asked by some friends where Manhattan was from their home city in Cincinnati, he replied, “Just drive to Dayton (Ohio) and make a left.” Of course he was joking about catching Interstate 70 in Dayton and following that some many hours to Manhattan. 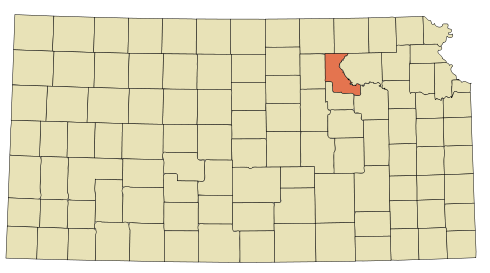 Located at the junction of the Big Blue and Kansas rivers, the city of Manhattan is the county seat of Riley County, Kansas. But to me, Manhattan, Kansas is one of the most kept secrets in middle America. Nicknamed The Little Apple in 1977 as a play on New York City’s “Big Apple,” it is best known for being the home of Kansas State University and has a distinct college town feel. Working at the University of Cincinnati for the Men’s basketball team I got the privilege to travel to many college campuses and towns, but visiting Manhattan the last few years’ ranks up there with any of them. I made my first visit to Manhattan in February of 2007 and have returned for a week every year since. In 2007, I traveled to KSU (Kansas State University) to visit former boss Bob Huggins and the some other members of his staff that I have worked with over the years at Cincinnati. They included Associate Head Coach (at the time) Frank Martin, Director of Basketball Operations Andy Assaley, Head Strength and Conditioning coach Scott Greenawalt, Video Coordinator Dylan Lockwood along with a few others. Coach Huggins has since moved on to coach at his Alma Matter West Virginia University, but the rest remain, with Frank Martin leading the charge as head coach. I look forward to my trip each season to watch the Wildcats play and appreciate the hospitality the basketball program gives me. The truth is, the welcome I receive extends to the entire athletic department as well as the community in Manhattan. There are not many places in the city you can visit with finding a Powercat (KSU’s Athletic logo) flying or people donning their purple threads. As is many ‘college towns,’ Wildcat athletics are just a way of life for its citizens. The biggest downfall about Manhattan, Kansas for me is traveling to this terrific town. Living in Cincinnati, Ohio the over 700 mile drive is a bit long. Choosing to fly into Manhattan poses difficult, with no direct flights on any major airlines. The best option, and the one I usually choose, is to fly into Kansas City and drive the additional two hours on I-70 to Manhattan. I sort of enjoy this, as the drive is very calm and peaceful as the city of Manhattan sneaks up on you between the beautiful farm lands. Leaving the Kansas City Airport, you pass Lawrence, Kansas, home to KSU rival the Kansas Jayhawks, before coming up on the state capital of Topeka, Kansas. Then, about nine miles off of I-70 exit 313 lies Manhattan. In the morning I will be departing for Manhattan, Kansas to spend six days in the city and see two Wildcat games. I will have the opportunity to sit courtside to watch KSU take on the Texas Tech Raiders and then the Kansas Jayhawks, both on National TV. It is my goal to be able to write a bit about each game as well as other aspects of my trip to Manhattan. I would like to thank Coach Martin, Coach Assaley, Coach Lockwood, and Coach Greenawalt, along with the rest of the staff members, for allowing me to have full access to the program and for always making me feel so welcome and a part of the Wildcat family. I can tell you that the city and University grabbed me and now I will not let it go. I am very happy to advertise that I am a loyal and becoming diehard fan of the Kansas State Wildcats. I try not to miss any games as I put on my purple gear and root for the ‘Cats. I wish them look Wednesday night as they hope to win their sixth in a row in the Big 12. And no, I have never seen Dorothy, Toto, or the Yellow Brick Road, but there is an OZ Museum located in Wamego, Kansas, just 10 miles east of Manhattan.